Now the party season comes!! Have you ready for it? After adding finishing touches to your costume and makeup using delicate or crazy decorations, you might want to intensify the entire disguise using a long wig that is spectacular and excels at grabbing attention. Uta no Prince-sama Tsukimiya Ringo wavy cosplay wig is light in pink, extremely long and with very charming waves. The wig is lusciously thick till the bottom and offers plenty of room for a custom trim. The quality of the wig is so silky soft, even your hair can’t be that soft, you’ll surely love it. 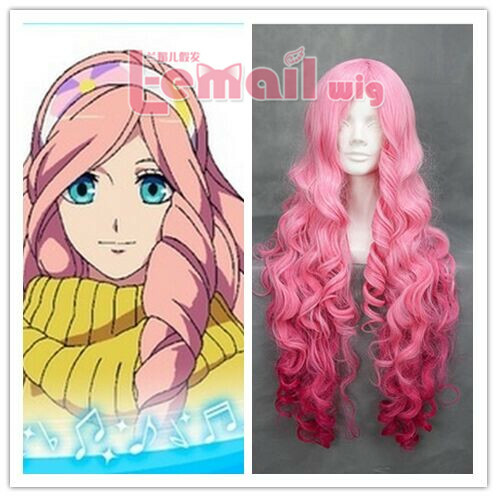 This entry was posted in Buy Cosplay Wigs, Fashion Wigs and tagged anime cosplay, long wave cosplay wig, party wigs, pink color wigs.